Golden Pompano is a great fit for our seafood line, as its popularity transcends many different cultures from all over the world. It is packed as individually wrapped fish, with each fish IQF frozen and placed into a sleeve to keep it separated from the other fish that it is packed bulk into the 40lb masters. Golden Pompano is a very popular species in coastal regions, and has a following from Asian, Arabic, and Mediterranean consumers throughout the U.S.. Golden Pompano is farm raised in sea cages in tropical waters off of the southern coast and Hainan Island regions of China. 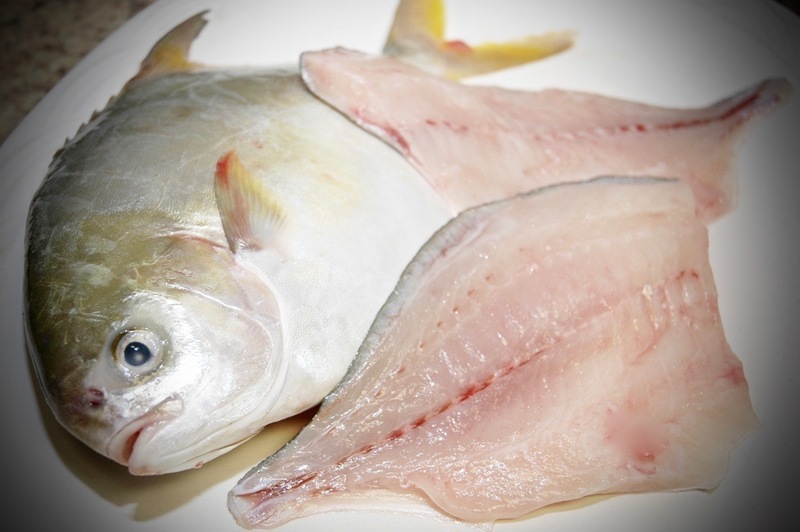 It has typically been sold and is most widely known in whole round form, but we are also bringing Golden Pompano in a new form to expand it to other market sectors and end users that are better versed with product in fillet form.